This week we are featuring Tina Brimo and Brooke Shoemaker in the Koala classroom. 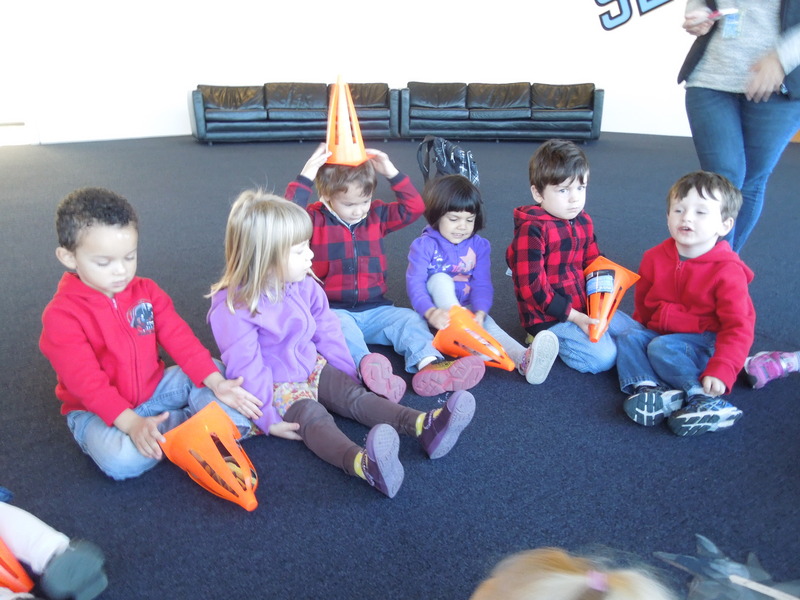 This class of three year olds took a walk through the Sant Ocean Hall at National Museum of Natural History at the beginning of the year and could not get enough of the undersea life on exhibit. This inspired Tina and Brooke to do a unit on Oceans. They decided to divide the unit into the different ocean zones and explore the sea life found at each level. I joined Tina for a lesson on sea stars as part of their exploration of the sunlit zone. Below you will find a reflection from Tina and Brooke and images from a lesson Tina led. We decided to study the ocean after seeing how enthusiastic our class was when we walked through the Sant Ocean Hall at the National Museum of Natural History to visit other areas of the museum. The children would stop and gaze at the fish and ask lots of questions. One day we asked them if they wanted to study the ocean and they eagerly shouted, “YES! !” We explored the ocean by zones: sunlit, twilight and midnight. For each zone we learned about the animals that live there. 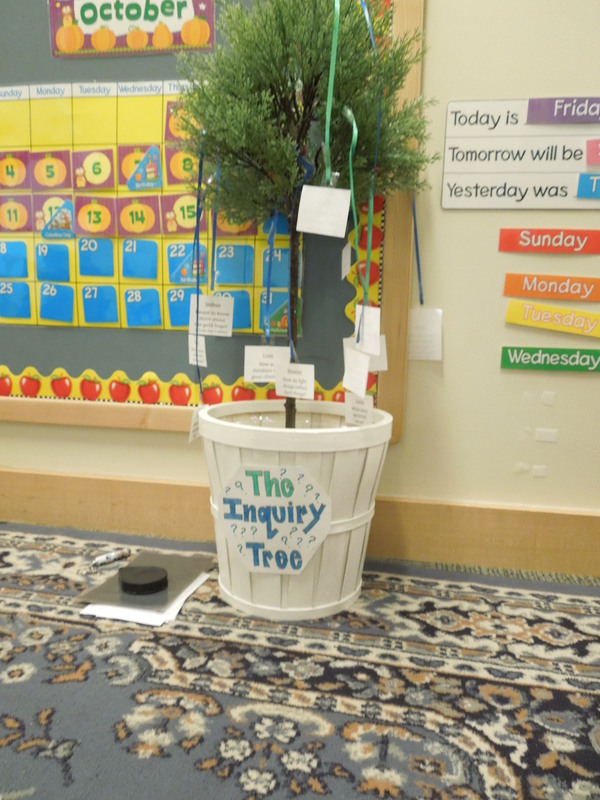 We brainstormed together and decided that we wanted to branch out to other museums for this lesson. We chose the Hirshhorn because of the colorful art. Since sea stars come in all different colors, we had the idea to ask the children to use art to “color in” blank sea stars. We made sea stars out of transparent paper and attached them to popsicle sticks. 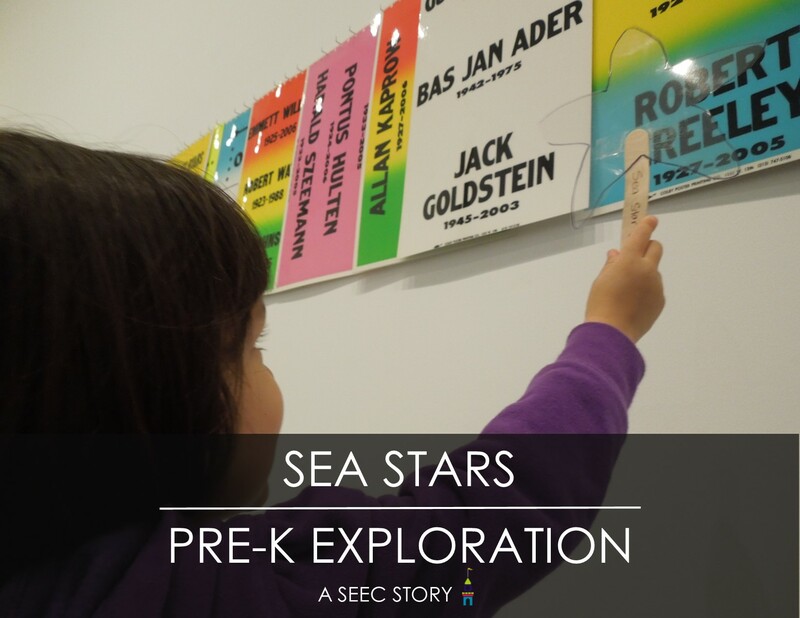 The children took turns holding the sea star cutout up to a piece of art they liked, filling it with a variety of colors and patterns. We have been building conversation skills, as well as early math and literary skills with our class. We incorporated turn taking, using a quiet hand to be called on, and various other fundamental skills, in addition to the learning about the sea star and its life in the ocean. On this particular day, we wanted them to appreciate the art around them, and the boundaries of visiting a museum. We also wanted them to learn that it is incorrect to say starfish, instead, say sea stars because they are not fish as they do not have gills or fins. The most successful take away from our lesson was how well the children worked together and how understanding they were when we took out cones to represent the rays of a sea star. We asked one friend to demonstrate the movement and were sure to tell the class that we did not have enough time for everyone to have a turn in the museum but that they would each have a turn back in the classroom. 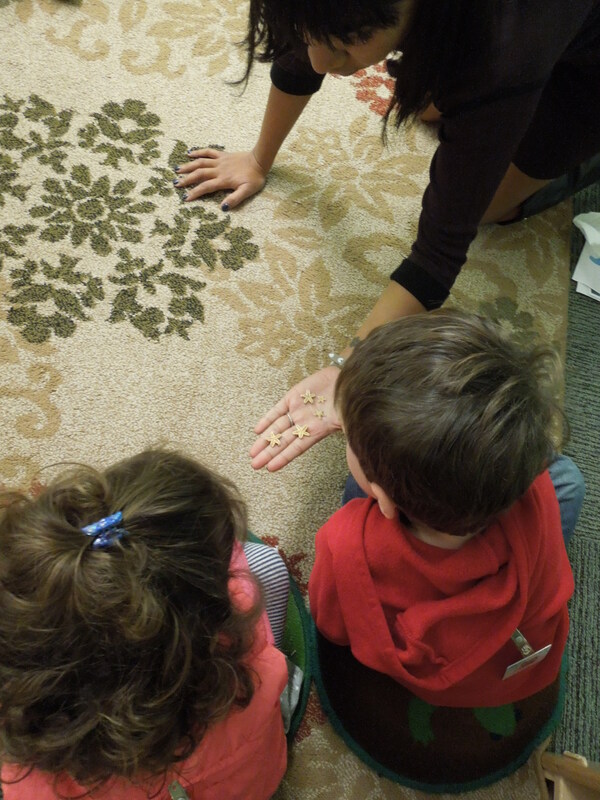 When we gave the children the transparent starfish at the museum, it was a bit challenging for them to each take a turn. We also had to keep giving them reminders not to get too close to the art. My recommendation to another educator trying this lesson would be to talk to the children first about not getting too close. 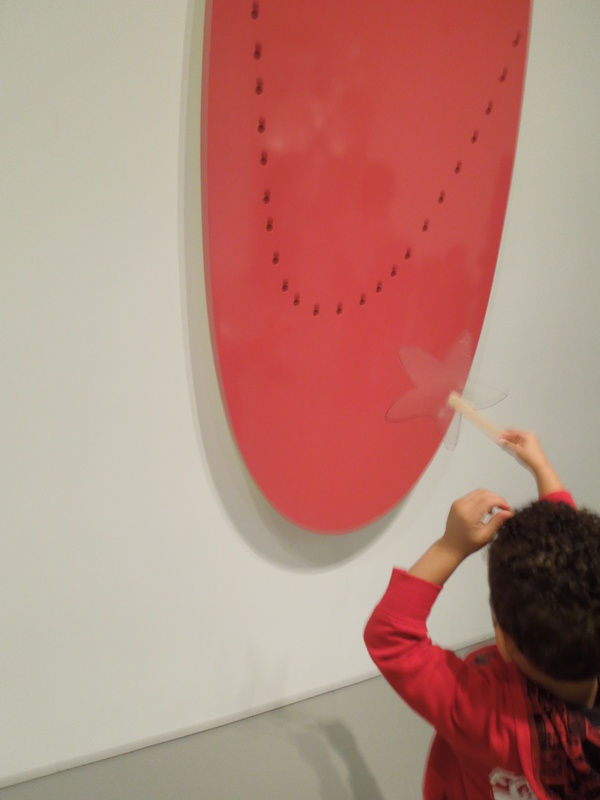 I think that being a museum school, I assumed that the children would just know not to get close because on other visits they are always careful to not touch the art. I would also make a transparent starfish for each child instead of having them share. 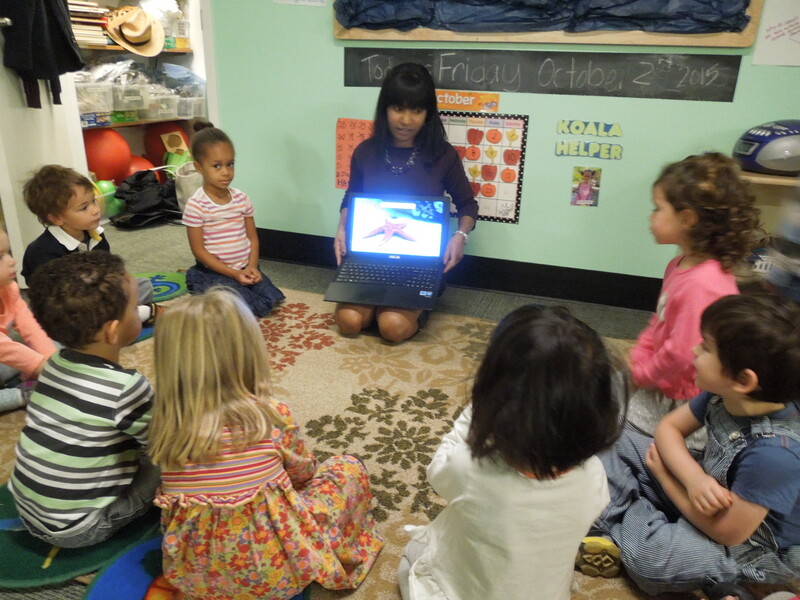 Tina began the lesson by reminding the children of the different ocean zones and introducing sea stars. Tina showed the group actual examples and images of different sea stars in a variety of color and sizes. 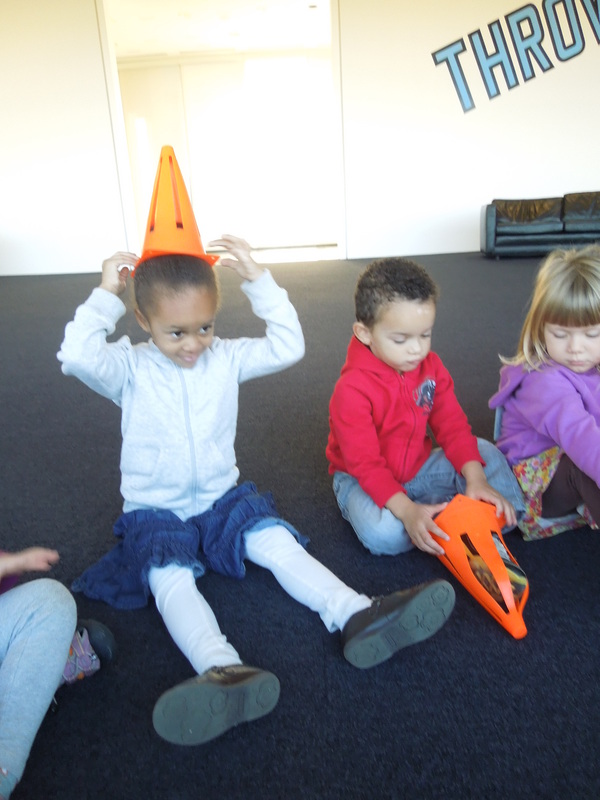 For their museum visit, Tina brought the group to the Hirshhorn Museum and Sculpture Garden. She found a quiet space in the gallery for the group to gather and begin their discussion. Tina brought along several real sea stars for the class to handle as well as the clear sea stars she made out of transparency sheets. They compared the starfish and made observations. 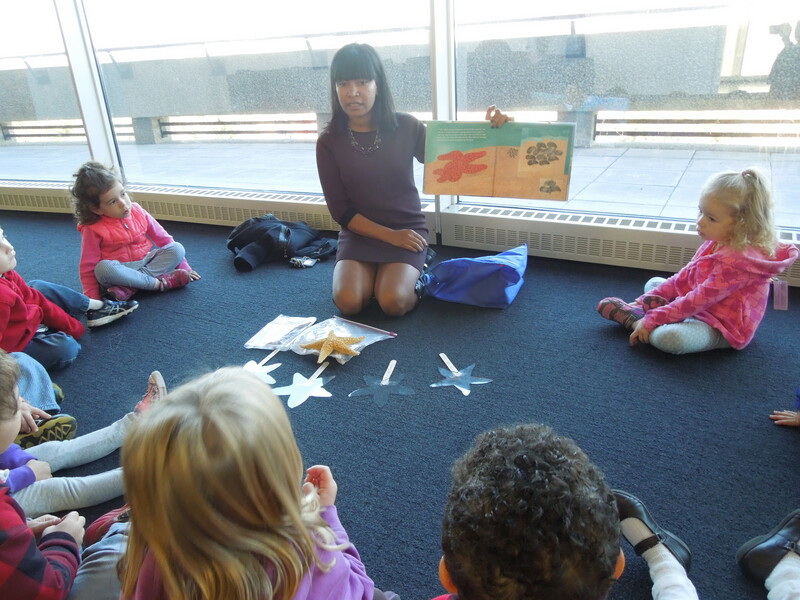 Tina also read the group Star of the Sea: A Day in the Life of a Starfish by Janet Hoffman to further introduce them to sea stars and their different characteristics. Then it was time to try out being a sea star. The group counted the rays of the starfish and decided they would need 5 cones in order to become one. 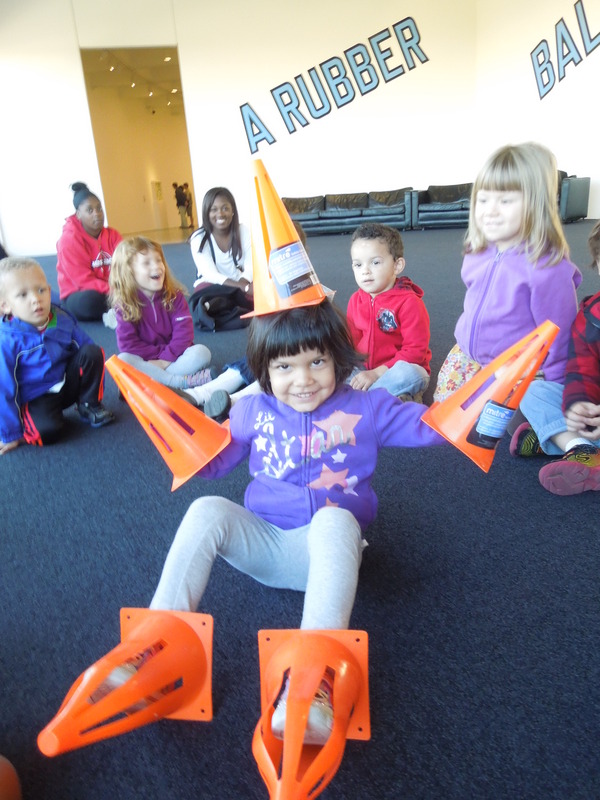 Tina invited one friend to be their sea star model by putting cones on their head, hands, and feet. They observed she could not really use their hands to grab things or their feet to walk. Tina invited their sea star “model” to try moving around the floor to reinforce the way sea stars get around the ocean floor. The group loved this activity and couldn’t wait to try it out themselves. They observed that could not really use their hands to grab things or their feet to walk. Tina invited their sea star “model” to try moving around the floor to reinforce the sea star movement. After learning all about sea stars it was time to fill their clear stars with art from the Hirshhorn collection. Tina had pre-cut clear star shapes out of transparency paper and attached them to popsicle sticks. 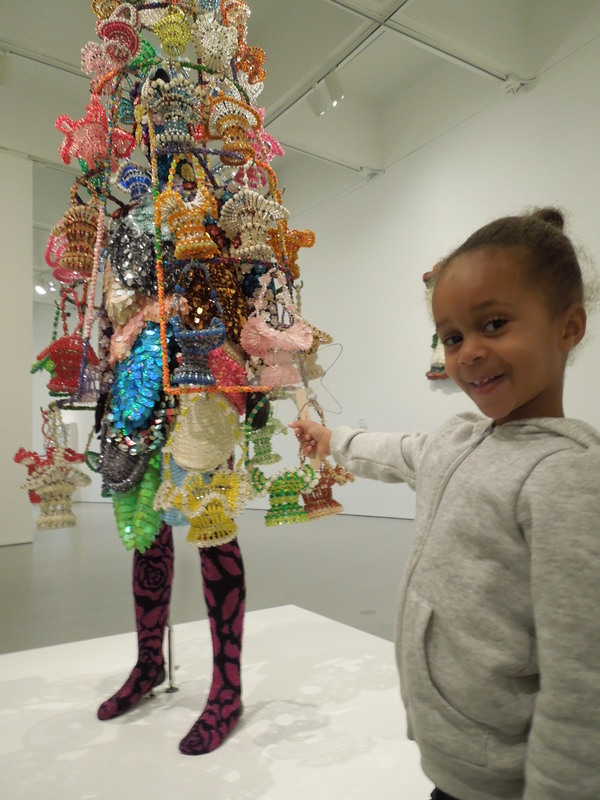 They then wandered through the gallery picking pieces of art to fill their star. 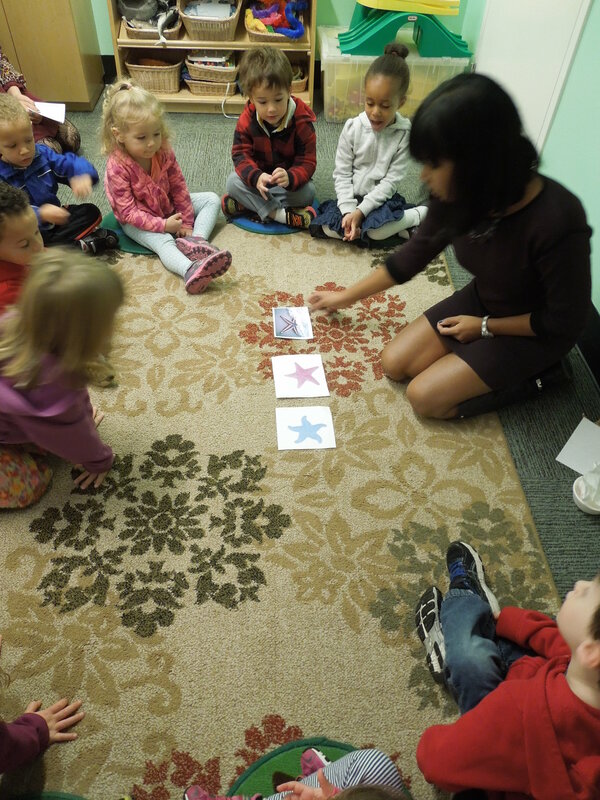 When they returned to the classroom, Tina showed the group a video of sea stars moving across the ocean floor reinforcing the experience in the gallery. Tina and Brooke continued to take their class deeper in the ocean as the unit progressed and just finished a study of bio-luminescence. Check out our Facebook, Twitter, Instagram, and Pinterest for more ideas from their unit on oceans! See you in two weeks with our next Teacher Feature!